SAN FRANCISCO and HONG KONG, April 24, 2017 /PRNewswire/ — 123RF has acquired Pixlr, one of the world’s most widely used cloud and mobile photo editors from Autodesk, Inc. Terms of the transaction were not disclosed. This acquisition propels Inmagine Group’s unique monthly active users (MAUs) towards the 50 million mark in addition to a compelling mobile strategy with over 100 million installs of Pixlr mobile apps, thereby creating a new vertically-integrated platform that delivers engaging user experiences to the creative community. 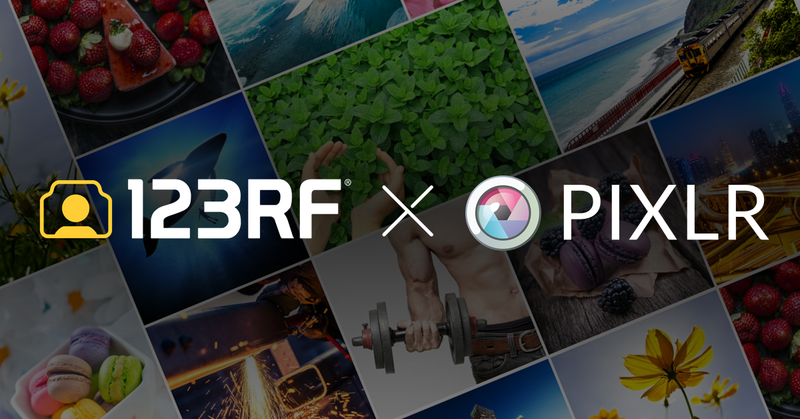 123RF’s in-house production team of over 200 will begin working to expand the Pixlr content library as a value add to its users, ensuring Pixlr communities will continue to have access to new tools and content. Pixlr was started in Sweden in August 2008 and offers a suite of cloud-based image editing tools and utilities (web and mobile) such as Pixlr Editor, Pixlr-O-Matic and Pixlr Express. Pixlr’s tools are built to enable non-professionals and professionals alike to create, edit, and share images online via social networking services or utilize in various creative works. Inmagine Group has over 450 staff in 40 offices around the globe. It was founded in 2000 as Inmagine.com and, despite being fully bootstrapped, has quickly expanded its reach with sites like 123RF.com, TheHungryJPEG.com, StockUnlimited.com, Designs.net. Inmagine Group has one of the world’s largest content libraries across the creative ecosystem and draws over 40 million visitors a month to its various online properties. Founded in 2005, 123RF has grown to be one of the world’s largest royalty-free digital stock agency. As part of the Inmagine Group, 123RF has helped a wide clientele of individuals and businesses from more than 40 locations worldwide tell their stories using creative imagery, sounds and motion contributed by talents from around the world. 123RF aims to be a creative solutions enabler through constant innovation, new products and services.